12:00am – wake Athena, change her, feed her, and put her back to bed. 6am – wake Athena, changer her, feed her, and get ready to play. As a new mother, waking up at 6am is sleeping in, especially after months of feedings every 3 hours, but I don’t mind. It has become routine and now I get excited for 6am to come so I can start another day with her pleasant, smiling face looking up at me, her tiny like fingers reaching for my face and hands, and her bright blue eyes searching for answers in this new world. This morning, we decided to let Darren, better known as Daddy, sleep in while we explored the boardwalk of Virginia Beach. Although more touristy than expected, it’s still filled with local color and laid-back visitors. People of all ages were out getting their morning exercise. 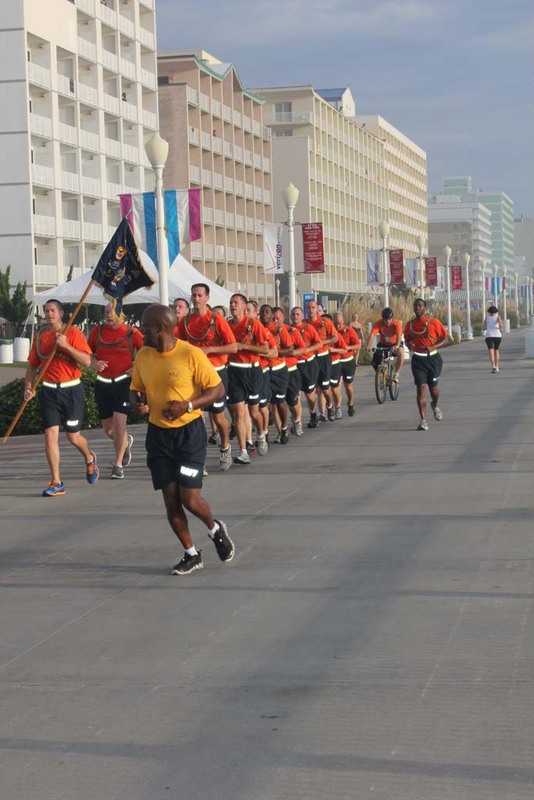 A pair of ladies walked by and offered a friendly, “Good day”; an old man rollerbladed past us, his skin a dark brown from over-exposure to the sun, the noticeable wrinkles weren’t just around his eyes; and a military group jogged in unison while completing some sort of training. Other parents pushed strollers alongside vendors and hotels. The world was moving around us and we blended in with a casual ease. We walked less than a 1/2 mile when I noticed something up ahead. A smile formed in the corners of my mouth. It was huge! It was taller than the hotels and resorts that surrounded it! It was red and among rides along the pier. Yes, I was right! It was a massive slingshot ride and it was walking distance from our resort. I had to explore it more. I had to do it! We made it up to the park but it wasn’t open and I still couldn’t quite figure out the specifics of the ride. It was still only 7:20am, but I was wide away. The adrenaline junkie in me was bubbling to the surface like a pot of water about to overflow. Tomorrow’s mission: find out more about the ride and when I can do it! This entry was posted in Travel, USA, Virginia and tagged beach, beaches, Blog, boardwalk, bucket list, Bucket List Publications, bucketlist, East Coast, Family, landscape, Lesley Carter, Ocean Sands Resort, photo, photography, travel, Travel blog, travel magazine, traveler, USA, Virginia, Virginia Beach by lesleycarter. Bookmark the permalink. 1. 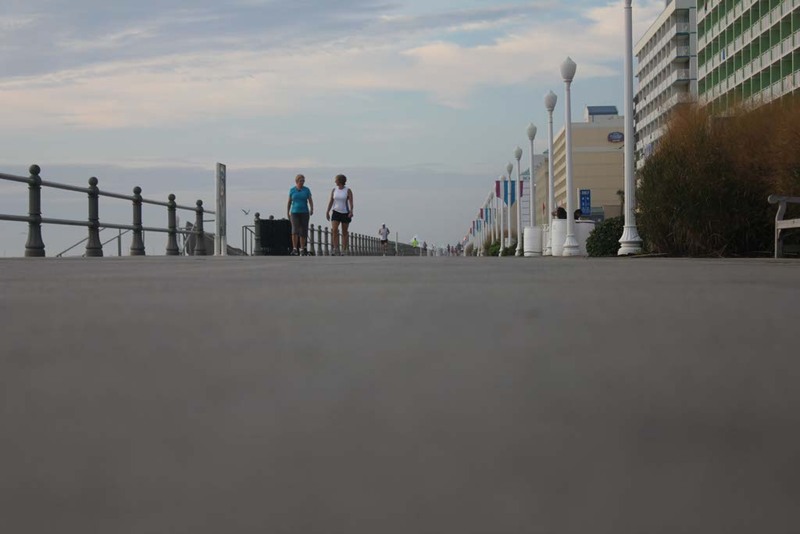 Boardwalks are great early in the morning, aren’t they?. 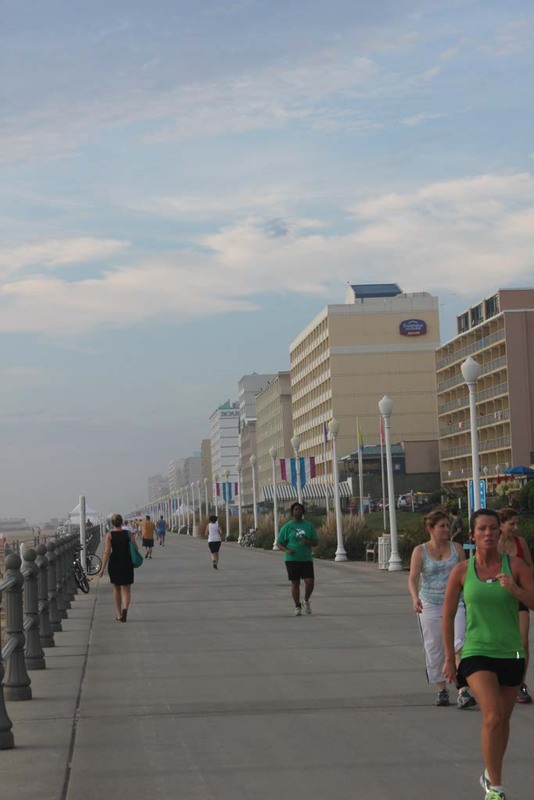 Whenever I’m at the Jersey Shore i love to take an early morning jog on the boardwalk at Lavalette. pPeople you meet are at their best – still fresh and friendly with a smile and a good morning. 2. I skirted Virginia beach a few years ago on a drive from NY to North Carolina via the DelMarVa Peninsula. 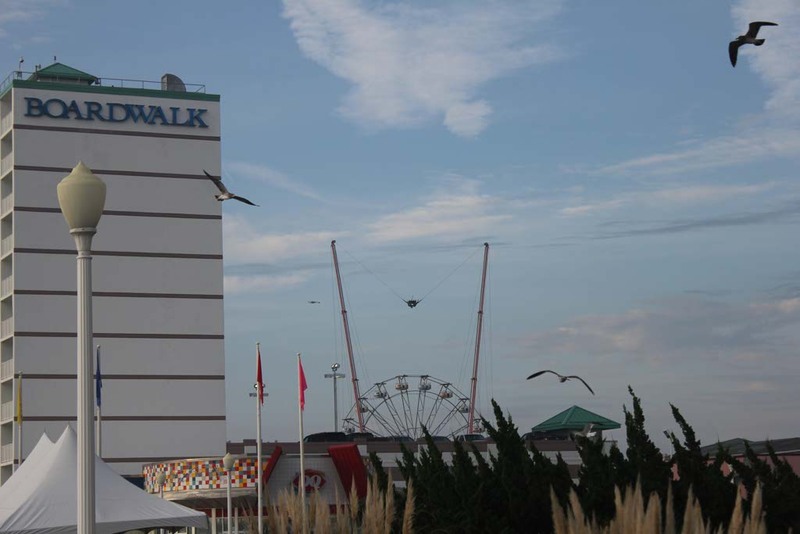 I saw nvery little of Virginia Beach, but after reading this it’s on my bucket list! Congratulations! Thats a great start being a Great Mum enjoying the chores of living.Ramli and Wife have 5 children and all these chores were blissful and worth all the money in the World.Salam. Amazing ! They have one of those at the amusement park in my area, they look so fun !! You should definitely do it. Looks like a gorgeous spot. As someone who is about to have a bub, it’s good to hear that you can get used to the interrupted sleep, and even come to look forward to getting up at 6am! 🙂 People seem to really enjoy telling me horror stories about zombie-like days and nights. The first couple of weeks are taxing and can be “zombie” like, but I assure you, it will pass. Athena sleeps from 12-6 regularly now. every baby is different, but it hasn’t been difficult adjusting to her schedule. Now, if I had to work, it might be a different story. Good luck. I wish you years of happiness and laughter. 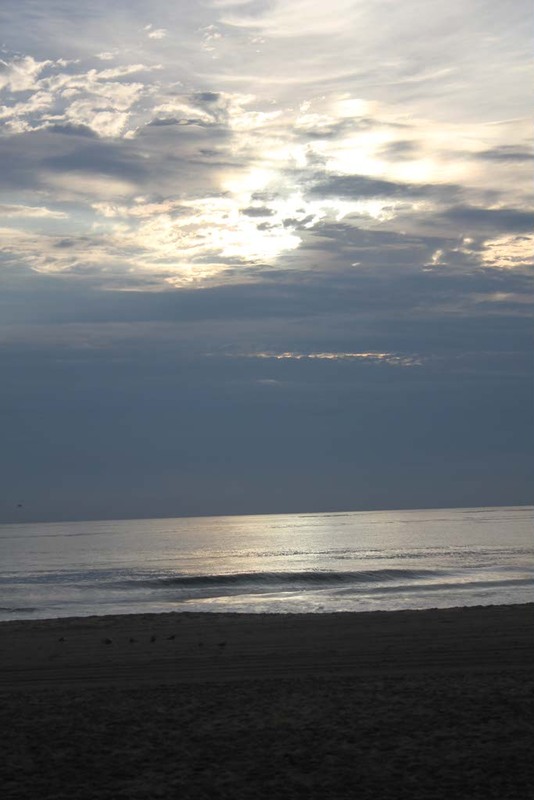 Virginia Beach – brings back memories when our kids were much younger (and so was I). Thank you for the post and the pictures. There will be more to come over the next few days. I’m glad you enjoyed and it reminded you of fond memories. I never use to enjoy the mornings. My idea of getting up early was 10am, but now that I have her beautiful, smiling face to look forward to, how could I sleep? I was just there about two and a half weeks ago; I love that beach. My family used to take me every other year when I was a child; so many good memories. I hope you’re living in a place that brings you equal happiness. I’m not a morning person, but, you’re right, after having a little one, that changes! Exploring new places in the early morning is definitely a perk though I find myself wondering why nothing is open yet…until I check my watch and realize that it’s only 7:00 AM – reality check. Looking forward to hearing about the slingshot ride! I haven’t been there in ages…decades! I grew up going there every weekend. There are spots further down that are less touristy. One thing I always loved about it is the water is pretty calm and the ocean bottom is smooth. Sandbridge is another nice area. Enjoy your time there! You should video yourself doing the slingshot… that’s be awesome! I second the motion for slingshot video! My wife and I take turns being adventurous. Of the two of us, she is more likely the one to do the slingshot ride. For me, I would have to see it on the correct day and be in the right mindset to try it. Of the two of us my wife was the one who ate fish eyes when we were in the Philippines. I wait expectantly to hear(read) of your slingshot ride experience! mommyhood is simply an amazing phase! Go for it, the ride that is! I’ve gone to Virginia Beach many times (1994-1998, 2001, 2003, 2005, 2007-2008, and 2010). THAT’S A LOT!!!!!!!!!!!!!!!!!!!!!!!!!!!!!!!!!!!!!!!!!!!!! Looks amazing and beautiful! I love the way you write. I feel like I am right there with you. There’s something about the smell of the ocean and the beach so early in the morning – I miss that from my days of living in San Diego! Here in Amsterdam, an early morning walk requires a scarf and a jacket, even this time of year! Greetings from another sea, the Adriatic! I love early morning walks too! Seems as though a lot of other people do too…there looked to be a lot of people out! Have fun on the slingshot! It looks like a very peaceful morning and great place to be. LOVE YOUR BLOG!!! You have just been nominated for the One Lovely Blog Award! Check out my post “One Lovely Blog Award” for details on what to do next. That’s my home town!!! Thanks for sharing those photos! The sling shot is a lot of fun. There use to be another one around 1st street….not sure if it is still there! Exploring somewhere you’re familiar with at a time when you’re normally elsewhere can really change your perspective how that place functions. I feel you captured that nicely in your post. It reminds me of the time I explored Navy Pier in Chicago at 5 am (don’t ask why). I’ve visited hundreds of times over the years, but never saw it so early in the morning. The people were different, there was a sunrise over Lake Michigan, all the shops were closed or just opening. It felt as if I’d never been there before. Early morning adventures are a new thing for me now too since my daughter was born. I love it so much! It’s amazing how different the world is before 7am. May your travels bring you happiness and joy, wherever they may take you! There’s nothing like an early stroll with baby first thing in the morning. Everything is new again. Glad to hear your hurdle of 3-hr feedings is done. Enjoy your sweet girl. What a FAB place to take the little one out for that morning air! Early mornings are such a magical part of the day, throbbing with a million possibilities! Those rides are wicked! Scary but amazing! 6 am is still EARLY! I lived in Norfolk Virginia for 7 years and we would go there all the time. Virginia was my fav, I still miss it very much. Hahaha be sure to take some video of the ride! I went by again today and nothing was going on. I’m going to check again after dinner. You are truly an inspiration and you look like you are having so much fun crossing things off your list. Best wishes in all of your endeavors! YOU GO GIRL! !